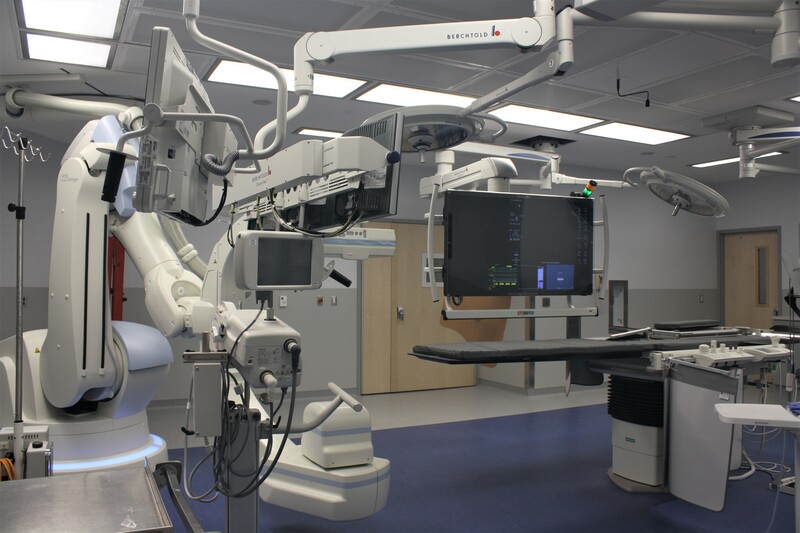 The hospital decided to convert a traditional OR into a state of the art Hybrid OR and an existing CATH Lab into an EP Lab. 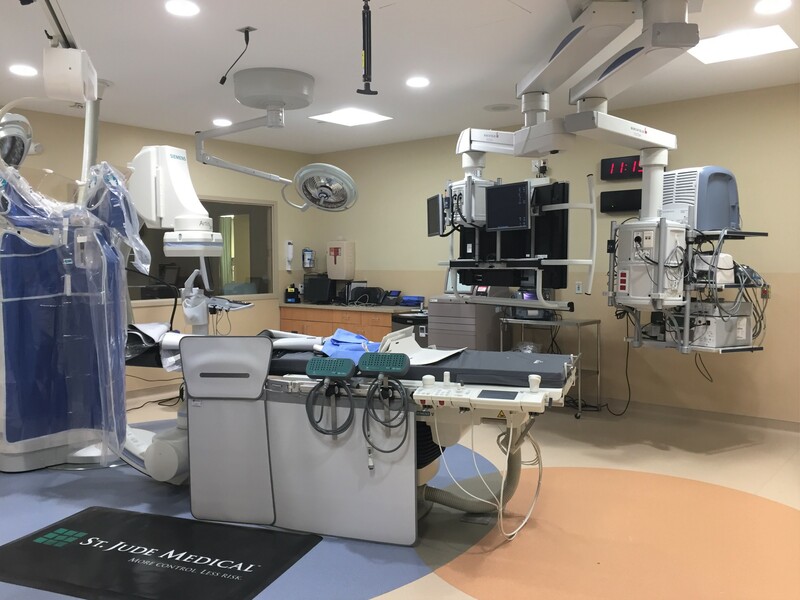 New work includes installation of a Hybrid Operating Room, with a control room, a perfusion room and adjacent support spaces, and an EP Lab, with a control room, prep, storage, and observation areas. During the planning phase, a multidisciplinary team spanning various specialties – consisting of physicians, nurses, IT, and administrative directors – were involved to see that their respective needs would be met. 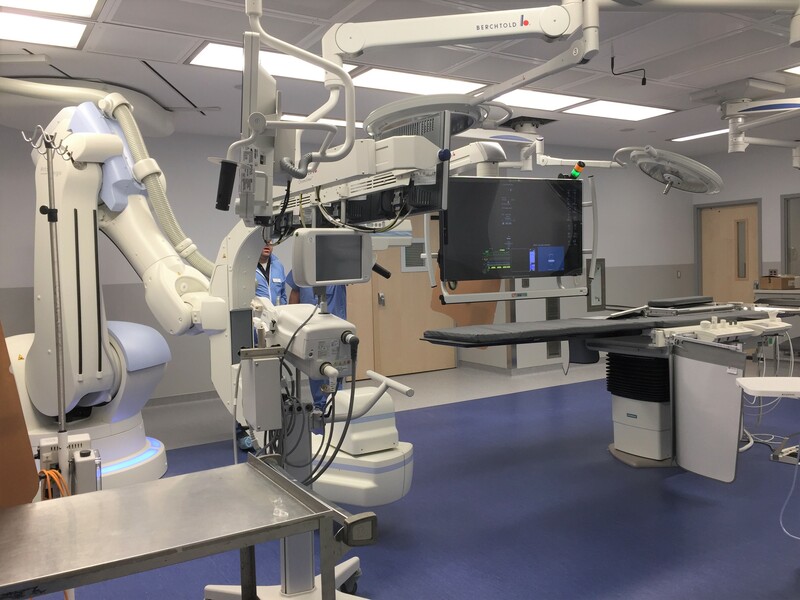 In-room procedural storage needs and how patients would enter the room were all thoroughly discussed and considered.The variety of medical devices and assorted vendors’ systems belonging to a Hybrid OR suite and EP lab presented additional challenges. Careful attention to detail and close coordination with all vendors and engineers are the key to success of this project. Vendors are extensively involved to ensure system compatibilityand to utilize their expertise in room design and planning. 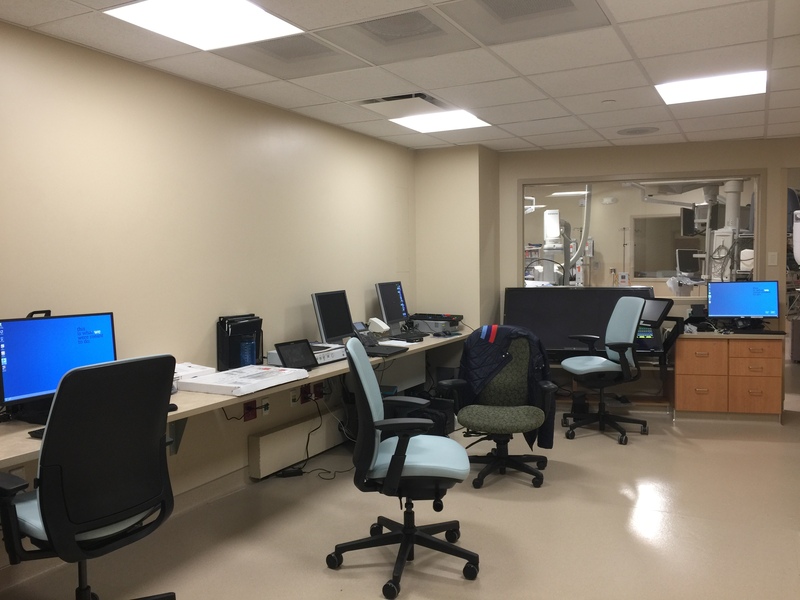 Existing structures were thoroughly examined and significant reinforcement was added, due to increased loads from ceiling and floor-mounted equipment. 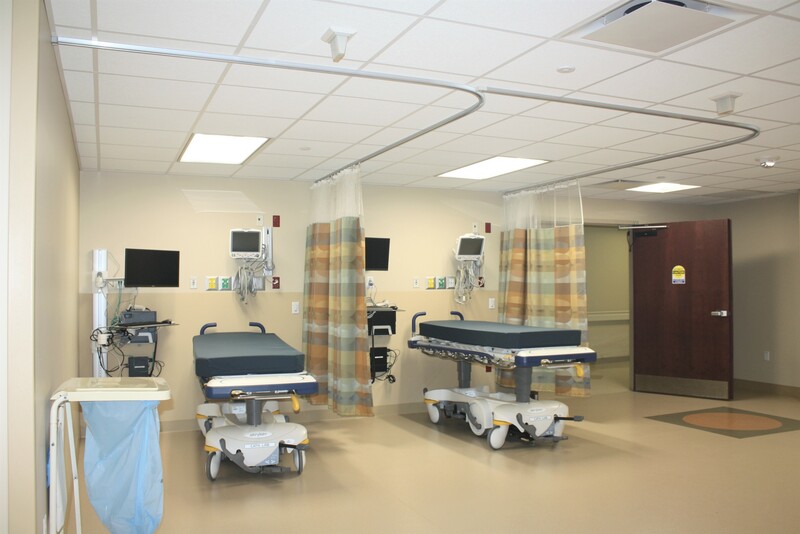 In the Hybrid OR, MEP systems were assessed and the ductwork was rerouted through the corridor and control room to allow for the raised ceiling height. 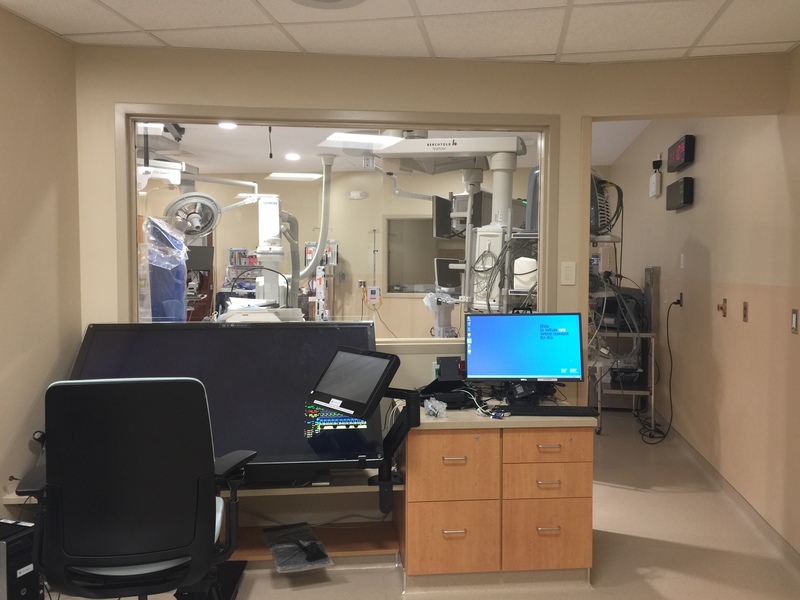 LEAD shielding was carefully designed in both the Hybrid OR and EP lab to ensure staff and patient safety. Shielding requirement reports were obtained from a Medical Physicist and LEAD protection was implemented throughout the projects.